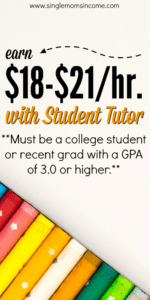 Student Tutor is a great opportunity for college students or recent grads with a 3.0 GPA or higher, or teachers who want to earn a part-time income after school. They hire, both, in-person and online tutors. They are currently seeking tutors for Math (Precalculus or higher), SAT/ACT (must be in the top 95%), and Science (chemistry, biology, and physics). Since Student Tutor has more stringent guidelines for their tutors they also pay better than other companies we’ve reviewed. Here’s what you need to know about working with Student Tutor. Student Tutor does it’s best to understand the needs of each student in need and match them to the best tutor. They have a four-step process for ensuring success for all students and tutors. A K-12 student enrolls on Student Tutor’s site for help. Academic advisors with Student Tutor determine the student’s starting point, goals, and action plan. This plan not only includes success in one class, but in their entire academic career. The plan helps students choose the right classes, raise their overall GPA and test scores to meet college requirements, and even maximize scholarship opportunities. Tutors are then assigned to help the student meet the goals of this plan. As a tutor, your job is to help the student reach the milestones they need to achieve their goals. With the help of an online discussion platform, the tutor, advisor, and parent are all kept in the loop on the student’s progress and achievements. For tutors, it’s a great way to help students be successful while building your resume and earning money. You must have prior tutoring experience, either in-person or online, with 6th – 12th grade students. You must have strong math skills and be able to explain difficult concepts. Student Tutor requires a background check, so a clean record is important. SAT tutors need to have a 700+ score per section and ACT tutors need a 30+ per section score. A distraction-free place to work so you can focus on your student. There are technical requirements as well that are laid out once you apply, but essentially, you’ll need a computer with a headset and microphone to be able to communicate with your student. The pay varies based on what you tutor. Tutors in math and science earn $18 per hour. SAT/ACT prep tutors earn $21 per hour. While the schedule is flexible, you will need to be able to work during normal school and after-school hours as well as weekends. And you will need to commit to several hours per week as you’ll be working with the same students until they reach their goals. Student Tutor will track your tutoring hours and pay you via direct deposit on a regular pay schedule. To apply, you can fill out the online application form to get started. For any additional questions or information regarding their program, visit the Student Tutor website. If you can find your own students, you will earn much more money as a freelance tutor. In my area, which is low-paying, an inexpensive tutor makes $25-30/hour. Tutors with a solid reputation and a history of positive results earn as much as $30/half hour. Really makes me wonder how much Student Tutor is charging customers because as a tutor who believes all children should have access to help, and therefore purposely keeps my rates low so as to be affordable, I would not work for $18 an hour except in hardship cases. It’s actually insulting. And suggests that Student Tutor is pocketing a fair amount of your pay for connecting you with customers. If you want to tutor, create a relationship with a school and cultivate recommendations. 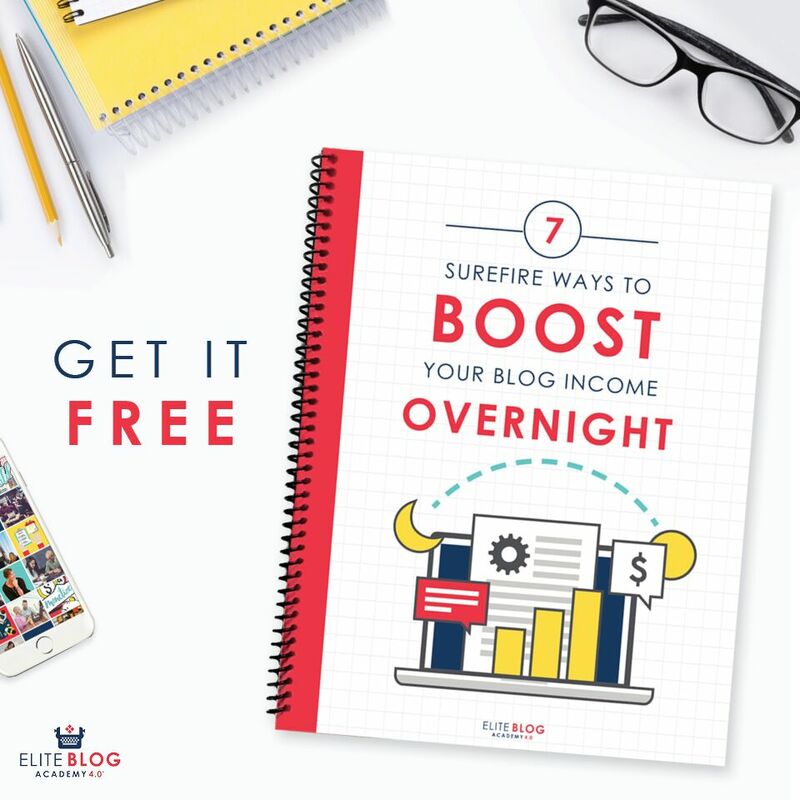 It won’t happen as fast, but you’ll earn more and someone else won’t be siphoning off your wages. Thanks for the tips and sharing your experience, Tamara!